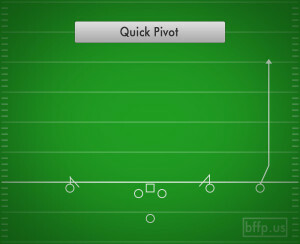 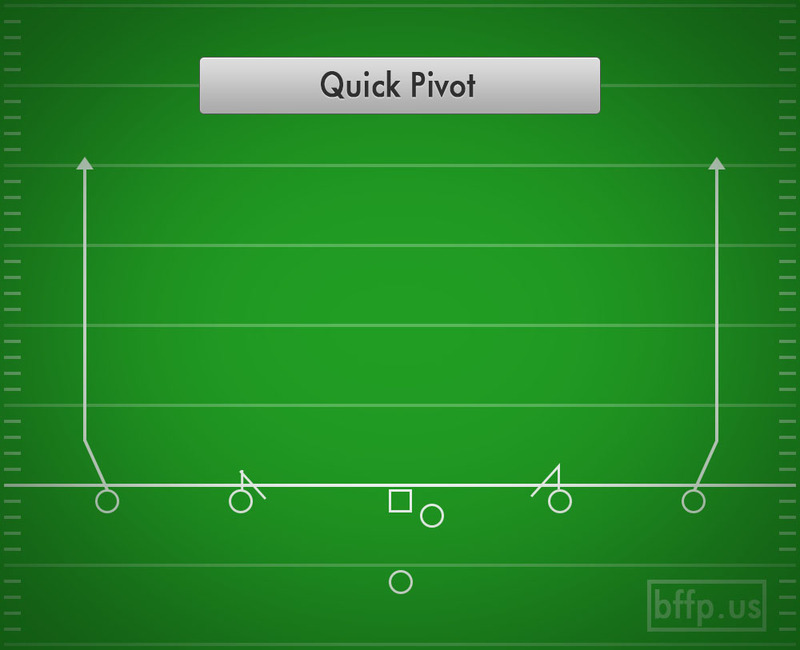 The Quick Pivot play is meant to be used as a play against a defense that is backing up off the line of scrimmage. 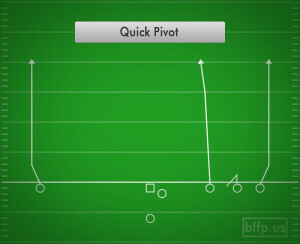 If they are giving too much space to the Wide Receivers, then hit them with this quick pass to catch them off guard. 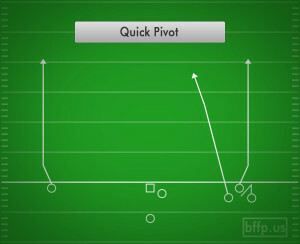 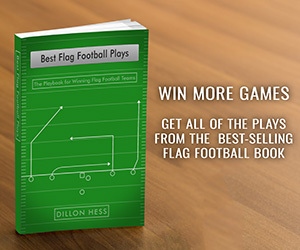 If the Quarterback makes a quick throw to the Receiver, it will give the Receiver a chance to run with the ball in the open field and try to make a defender miss. 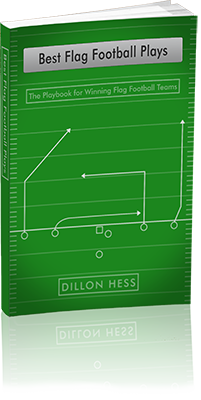 It is important that the Receivers push hard off the line of scrimmage for the first few steps, so that the defenders aren’t immediately keyed into the fact that it is going to be a quick pass right at the line of scrimmage.